Despite fans' calls for ownership to act, the team still has a good shot at making the playoffs. Islanders fans have every right to be impatient. Not one under the age of 40 can remember a captain skating with the Stanley Cup, and even those old enough to recall such wonders have seen one playoff series victory in a quarter-century. 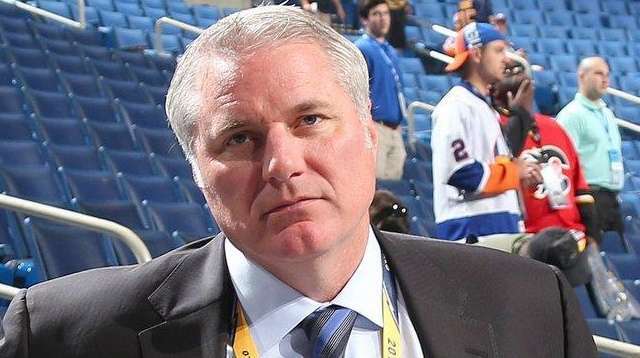 Islanders fans also have every right to insist that general manager is not a lifetime appointment. Two months ago, the Giants canned Jerry Reese during the season, and all he had done was win two Super Bowls in a decade on the job. So the campaign by some fans calling for ownership to act — complete with a #SnowMustGo hashtag and a GoFundMe effort to pay for not one but two billboards to that effect near Barclays Center — is neither inappropriate nor insane. Co-owners Scott Malkin and Jon Ledecky should feel the fans’ pain, and after this week — which included “Snow Must Go” chants during Tuesday night’s loss to Columbus — it would be impossible not to. All good, as far as it goes. But at the risk of inspiring a hashtag urging Newsday to send me packing, too, this is not the moment for drastic action. Soon perhaps, yes. But why now, with the NHL trade deadline 10 days away and John Tavares’ future in Brooklyn, Uniondale and/or Elmont still in limbo, not to mention with positive momentum off the ice on the new arena front? After Thursday night’s 3-0 victory over the fading Rangers at Barclays Center — the Isles’ first shutout of the season! — the Islanders remain very much in the playoff picture in a league in which eighth seeds have a legitimate chance to play deep into spring. Heading into a game at Carolina on Friday night, they are one point behind the Hurricanes for the final playoff spot in the Eastern Conference. And as poorly constructed as the roster has seemed at times — as evidenced by alarming numbers of shots on goal allowed, including 50 against the Rangers — there is young talent around, with Mathew Barzal as Exhibit A. Then there is Mr. Tavares. Snow has stated flatly that he will not be traded. Tavares has said he does not want to be traded. Let’s give all of that a chance to play itself out. Tavares’ stated desire to stay is good news, of course. But this is a risky game. If he is not traded by Feb. 26 and signs elsewhere in the offseason, leaving the Islanders with nothing, by all means show Snow the door. But what if . . . Tavares re-signs and/or Snow makes a smart, roster-changing trade deadline move and/or the Islanders sneak into the playoffs and make some noise? Unfortunately, the players have been dragged into this mess, which serves no one’s purpose. On Thursday, Anders Lee took to Twitter to politely decline the fans’ offer to donate excess funds from the billboard effort to his Kancer Jam fundraiser. Lee defended Snow and said he would “not feel right accepting money from a movement that I do not agree with.” Organizers said the money instead will go to the American Cancer Society. The episode was distracting and awkward and just plain weird. But winning cures all, and on Thursday night, there was relief all around. The fans were happy, with bonus points for beating the Rangers, and Snow beamed as he walked into the trainer’s room after the game. There will be a lot more down the stretch. Should be interesting. Snow has had 12 years, which many fans understandably believe is enough. But let’s give him two more months and see what happens.